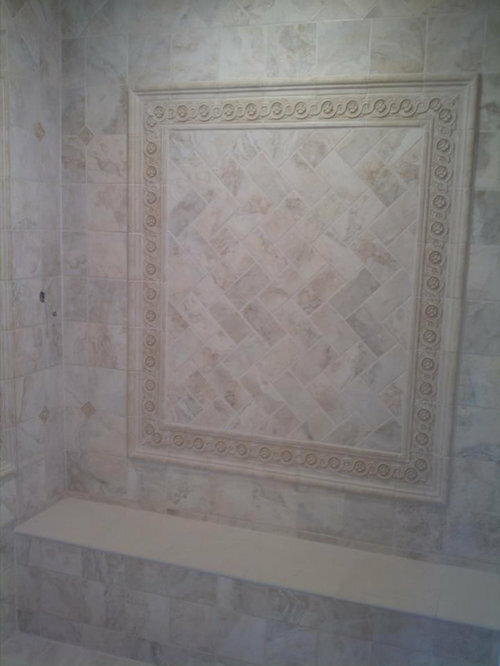 Custom bathroom with Italian White Carrara mosaic. Italian Century Ceramiche 3 x 6 with matching chairrail and decorative border. 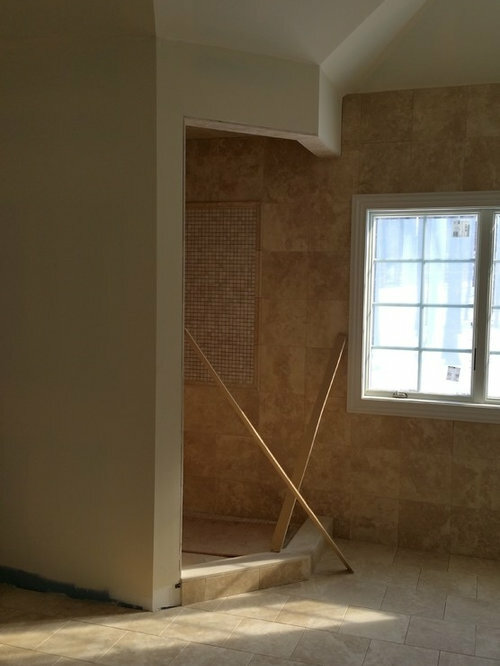 Travertine light H/F 12 x 12 install with tumbled travertine light 4 x 4 for the shower pan. A rich and soft on the eyes looking bathroom. 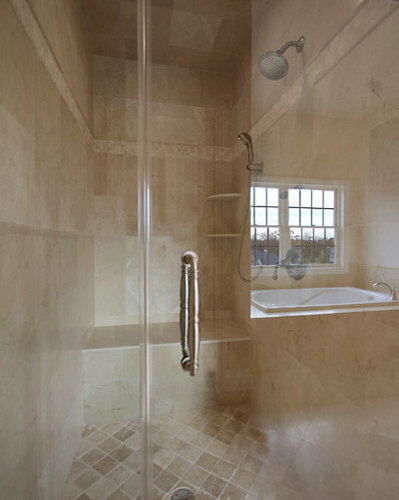 Small, simple and cost effect bathroom with matching beige wall and floor combination with decorative glass tile. 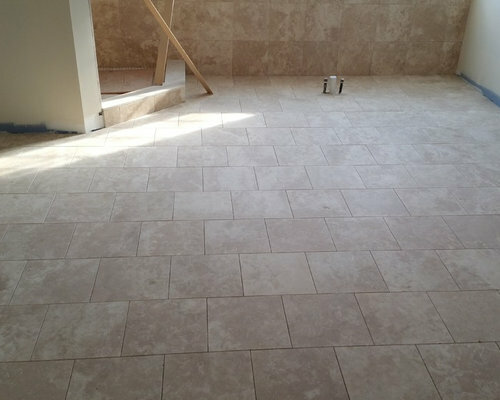 Master Bathroom installed with Travertine Ivory Honed and Filled 12 x 12. 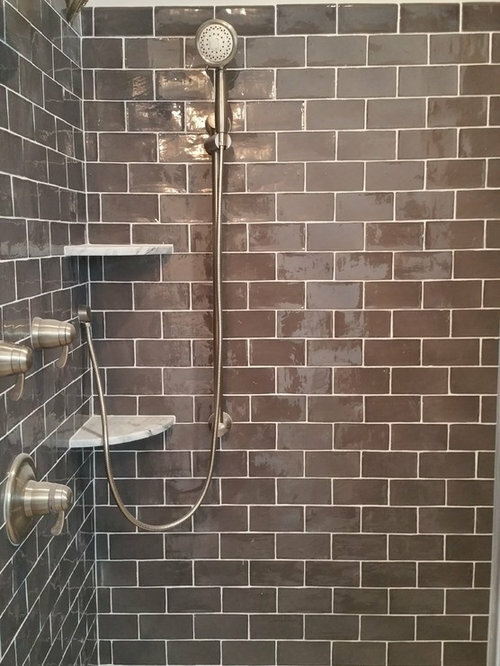 Wall installed in a straight pattern and floor in brick pattern. 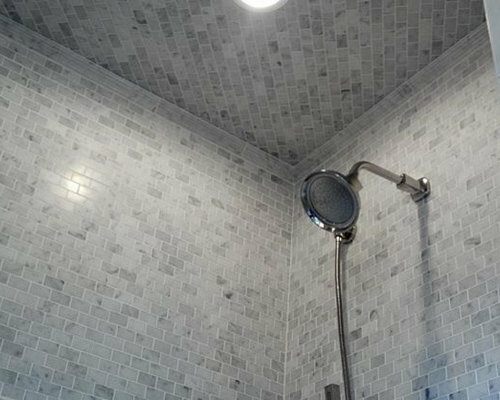 Beautiful material with great installation makes a dream bathroom turn reality. All material provided by ITS. 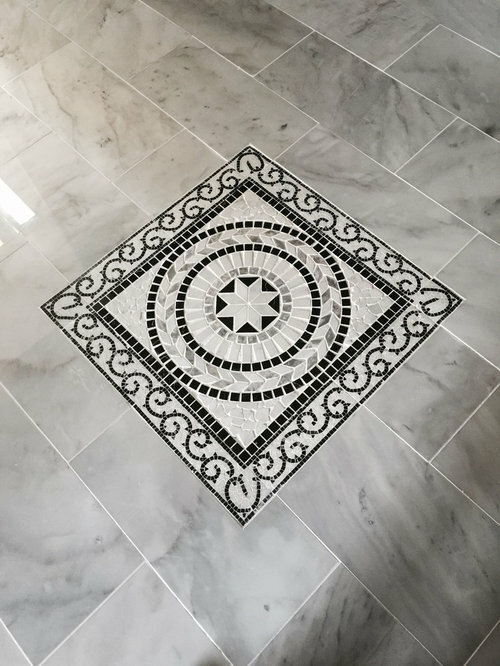 Sharp looking marble medallion surround by polish white marble makes the center of the bathroom floor look beautiful. Timeless look. 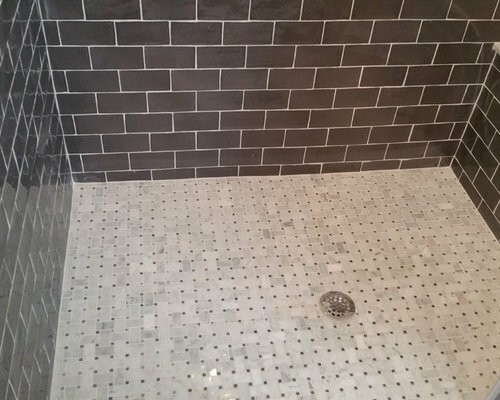 Grey antique tile in 3 x 6 installed in a master bathroom walls accompanied by White Carrara Polish Basketweave on the floor. 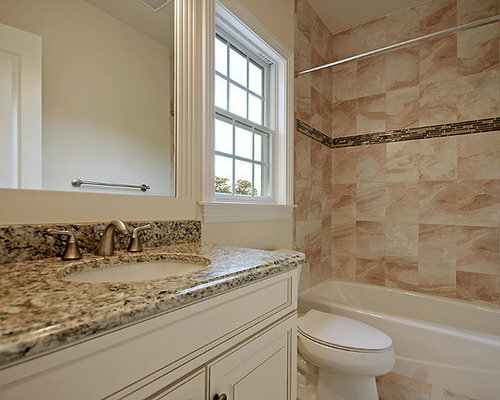 All material supplied by Innovative Tile & Stone in Union, NJ. 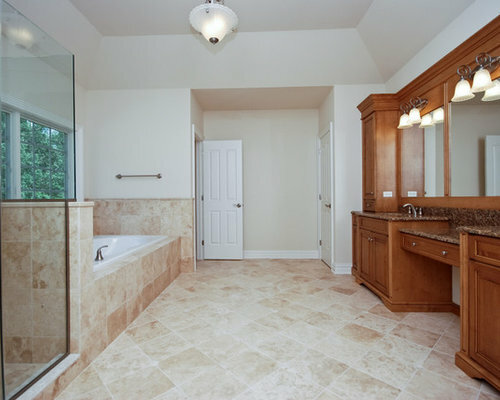 Please take a look at this beautiful master bathroom with our imported travertine ivory tiles. All materials provided by ITS. 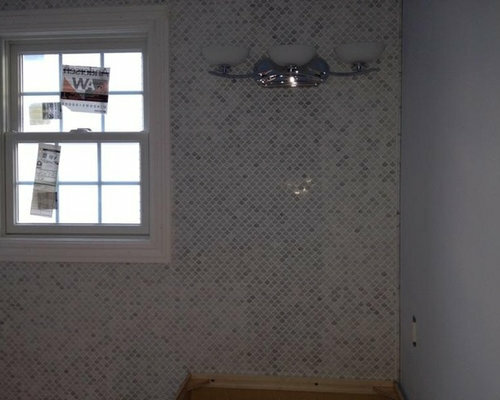 White Carrara Polish Fan mosaic installed on the wall of a powder room home in New Jersey. All materials provided by ITS.